McGill Avenue was named for the McGill Family that had a large farm in the Charlottetown Common. The Common is an area just outside the original City limits, north of Euston Street. It was intended to provide space for further expansion of the City, but was ultimately carved up by Lieutenant Governor Fanning, who then distributed it among his friends and prominent members of the community. The McGill Farm was located in the area between North River Road and Spring Park Road, north of Green Street and south of the George Simmons Farm. Although we know the McGill family was listed in the 1889 Fredericks Prince Edward Island Directory as living “off Spring Park Road” , by 1900, the McGill Family were no longer listed in the directories. However, at the turn of the century, the McAlpine’s Prince Edward Island Directory lists McGill Avenue with one house on it that belonged to Mary, the widow of Donald MacKinnon. The MacKinnons were residents of Sidmount. Sidmount was an early house and estate on the west side of the North River Road located on what would become McGill Avenue. It was built by Sidney Dealey, but on April 4, 1846, the Islander newspaper reported that the Sidmount estate was to be sold at public auction. 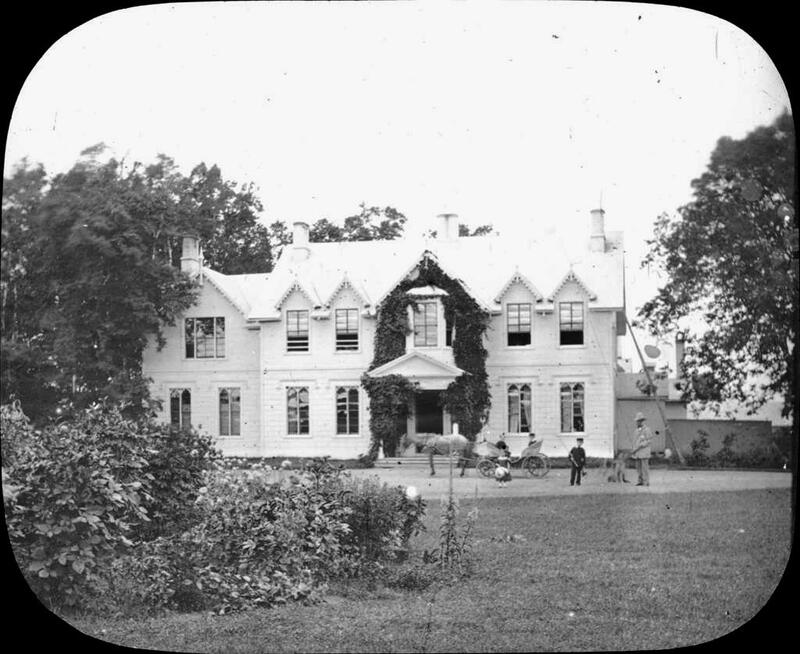 Made up of some forty-one acres, the estate featured “a much ornamented cottage, newly erected of wood, by a skilful artisan, in imitation of the Gothic style of architecture.” Forty-three feet by thirty-four feet, this “cottage” featured a frost-proof cellar, a ground floor with dining room, drawing room, hall, store room and office and a second floor with two bedrooms, a dressing room, bath and library. An addition to the rear of the building contained a large kitchen, laundry and servants’ bedroom accessible by the back stairs of the main building. For a number of years, Sidmount was home to James Horsfield Peters (1811-1891) but the house and the estate would go on to have a number of owners. Much like the McGill Farm across the North River Road, the land would be sold off around the turn of the century and residences began to be constructed. A major development and influence on the former McGill Farm was the construction of the Provincial Sanatorium in 1931 to combat Tuberculosis in the Province. Likely in preparation for the traffic that would increase due to the construction of the “Old San”, the Report of the City Surveyor in 1931 indicated that McGill Avenue was “graded and covered with ashes” from the Sanatorium to North River Road. As space became a premium in the Sanatorium, it was deemed necessary to construct a nurses’ residence nearby in 1938. The new building would free 20 beds in the Sanatorium for patients. An attractive building, it was designed by architect Charles B. Chappell and the contract was awarded to Albert T. MacKinnon. When the residence closed, the Provincial Government renovated it for use in healthcare. 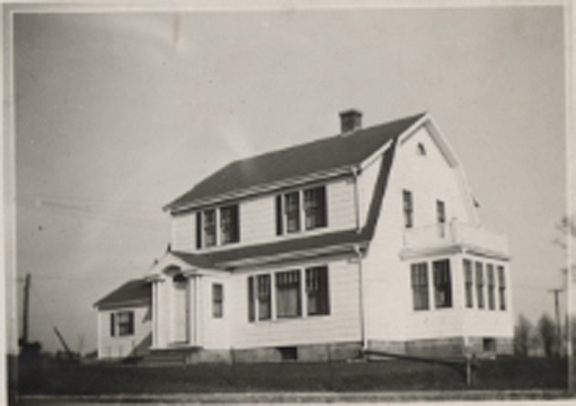 The building was renamed for Mona Gordon Wilson (1894-1981), a nurse who worked in the public health field in Prince Edward Island and a national historic person. Beginning in 1923, she laboured for close to forty years of her life, largely in rural PEI, where the Island’s isolation and relative poverty presented many public health challenges. 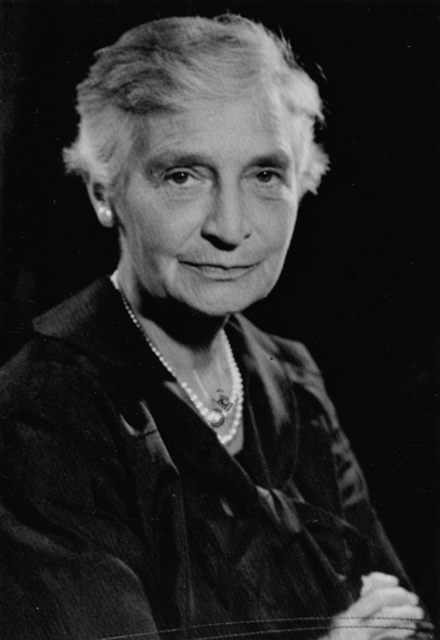 Appointed by the Red Cross, she came to her employment on the Island with a wealth of experience, including work during World War I in Russia and the Balkans while with the American Red Cross. During the following years, more houses began to be erected on McGill Avenue, particularly the southern side. The B.C. Keeping House (right) was designed by architect, James Harris, and constructed for Dr. Benjamin C. Keeping in 1937. Keeping worked at the Sanatorium and went on to become Chief Health Officer. He was one of the great leaders in the development of the Public Health Department of Prince Edward Island.